That awkward New Zealandy sense of humour, you don’t know how to respond to. It is like having old DJ Ability in the studio again, when Home Brew Crew popped by. They have been totally killing it in New Zealand topping the charts with their new self titled double album. We talk. They rap. It was good. Catch Home Brew at the Civic Underground in Sydney tonight. Details right hurr! In addition, Naiki pays tribute to the Beat Conducta with a sweet set of Madlib produced jams and the original samples. The genius behind projects like Madvillian, Jaylib, Yesterday’s New Quintet, Lootpack, Quasimoto, The Medicine Show and more. 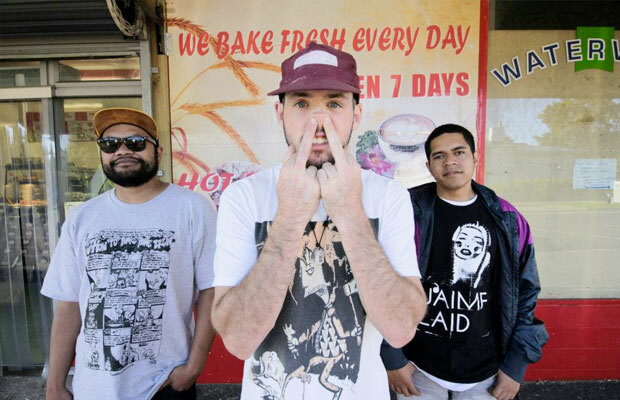 Catch him Friday at the Metro in Sydney supported by Egon and J Rocc… Deeets yo! This entry was posted in Radio Show Stream, Playlist, Podcast and tagged DJ Naiki, home brew freestyle, home brew interview, madlib, Original Samples, sample snitching, Tribute Mix. Bookmark the permalink.